We reserved free time in the conference schedule on Wednesday afternoon for group activities. Our opinion survey collected about 100 responses, helping us to focus on a few possibilities. Some items are absolutely free of cost and can be organized at the conference as desired, others require some advance planning and payment of a fee for the commercial service. Accompanying persons who would like to participate in small group activities outside of Wednesday afternoon should contact Marlea Smith (marleas49@gmail.com). Lawn sports such as soccer or volleyball. Organize at SAS2018 registration desk. These activities require us to reserve transportation through the resort. The prices are all-inclusive. For each, a minimum of 14 persons and a maximum of 34 persons (per bus) are required. We must notify the resort by September 19 for each. To sign up for any of these, download this form, fill out your choice and FAX it to the telephone number listed (+1-231-534-6152). Since it will contain your credit card details, please do not email it to the conference. The brochure contains the same information that appears below. Don’t miss the boat on this experience! 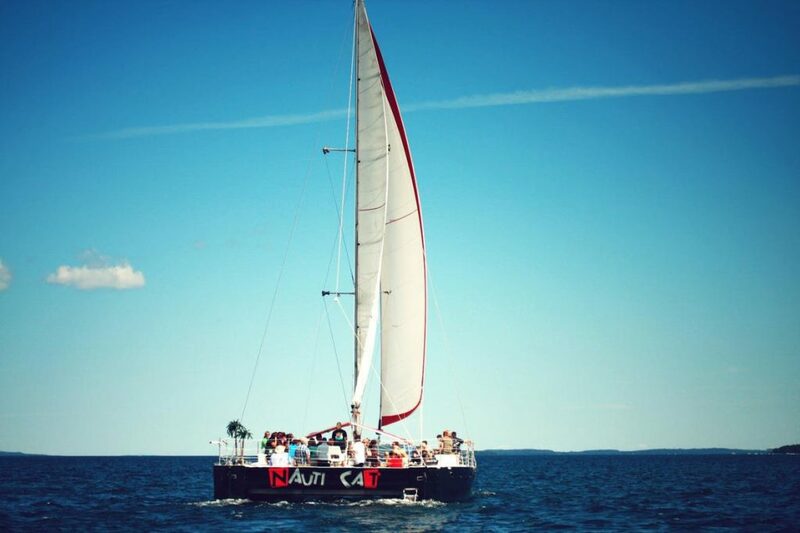 The Nauti-Cat sails West Grand Traverse Bay in Traverse City, Michigan and offers a one of a kind adventure. At 47’, the Nauti-Cat cuts through the water with a smooth, comfortable sail that first time sailors and longtime sail enthusiasts will enjoy. The 29’ beam allows plenty of space for passengers to relax on the nets or sightsee from the high and dry decks and seating areas. An on-board bar with specialty drinks, two restrooms and a friendly crew will make sailing with Nauti-Cat the highlight of your vacation. Kayaking + Brewery Tours = KaBrew. 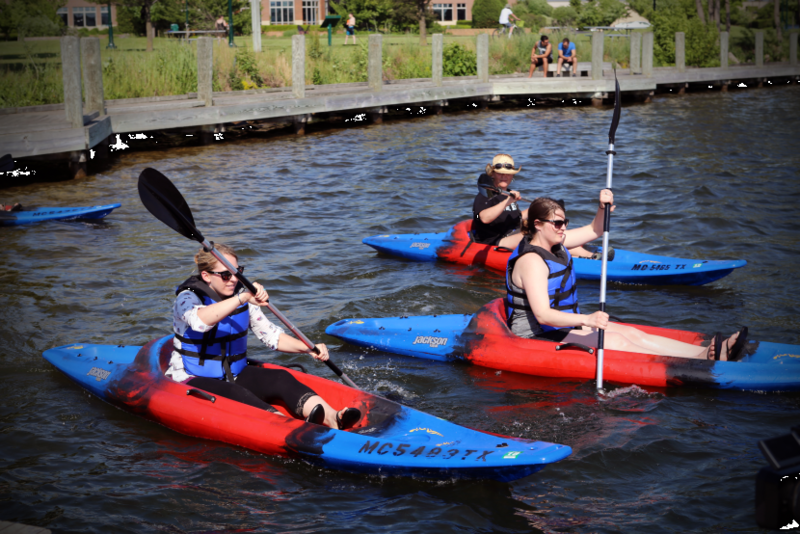 Take a kayak trip along the Boardman River in Traverse City and stop along the way at some of the best craft breweries in Northern Michigan and you have what is called a KaBrew! Oddly enough, your Brewery Tour adventure will start on a bike. Pedal to the Right Brain Brewery to enjoy your first pint. Head to the Filling Station for your next round. After The Filling station you will continue on your bike to Hull Park where your kayak will be awaiting you. Launch the kayak and float down the Boardman River to either the Rare Bird or the Parlor. Jump back in the kayak to paddle back to Clinch Park. Then off to The Workshop we walk to conclude our tour! 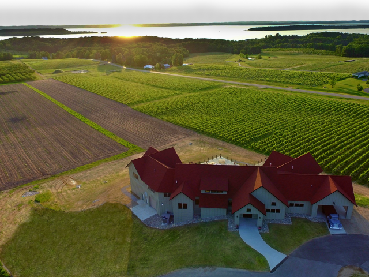 Surrounded by the fresh, breathtaking East and West Grand Traverse Bays of Lake Michigan, Old Mission Peninsula is a 19 mile drive of rolling hills, stunning views and magnificent wineries. On this wine tour, we will stop at three of the best, Bowers Harbor Vineyards, Bonobo Winery and Chateau Chantal Winery and experience tastes of award winning wines and spectacular vistas. Pierce Stocking Scenic Drive is certainly a must-do activity when visiting Sleeping Bear Dunes National Lakeshore. The 7.4 mile drive loops through the Beech-Maple forest and sand dunes and has spectacular overlooks of the Glen Lakes, the Sleeping Bear Dunes, and Lake Michigan. 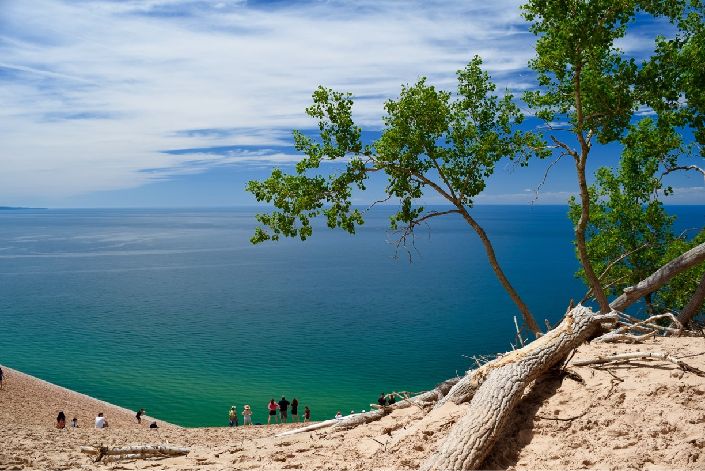 World-class vistas will give you a feel for Michigan that you may have never thought possible! The Scenic Drive will definitely reinforce why Congress saw fit to designate this area as a National Lakeshore within our great National Park system. 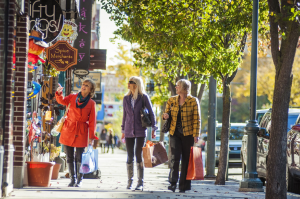 Shopping Traverse City is an adventure for the senses—an activity worthy of its own vacation. We invite you to tour our vibrant community and discover all that Downtown Traverse City has to offer. From restaurants and breweries to shopping and galleries, there’s something for everyone. Downtown’s 150 shops, boutiques, galleries and restaurants are filled with new discoveries just waiting to be found.